So this year we learn that success is available to anyone. Yes...these young ladies have proven that with hard work and determination anything is possible. 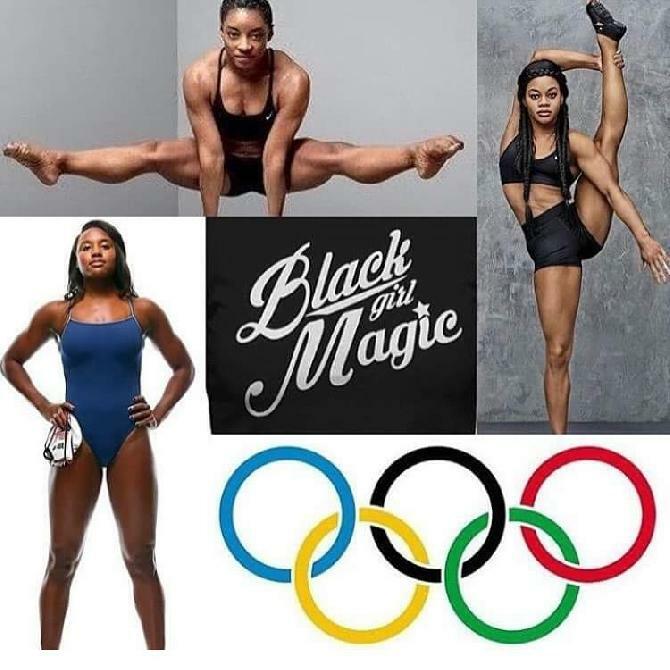 SIMONE BILES,GABBY DOUGLAS AND SIMONE MANUEL are women who have worked diligently to get to this point. We see them as an overnight sensation but please follow their stories. This took them years accomplish. WHEN you look at them it is obvious that this is fun and they love what they are doing. You see not a care in the world. That's how it should be. That's true passion. Each young lady can maintain there own lane by themselves. These ladies are going to be looked up to by our little girls and boys. They will see that these girls have come from similar backgrounds as they may have, but see how they have over come their adversities. No one can hold you down but yourself. Use the gifts that God has given you. It is obvious that that is exactly what these ladies are doing. Great work to all three of these ladies and more blessings to come to you.